Four generations of the Bartlett family have been in the vegetable growing business. So it really is at our roots. Here are a few important dates that’ll show you how we got to where we are today. Alan’s grandfather, Albert Bartlett, invested a whopping £30 setting up a small beetroot boiling business in Coatbridge, Scotland. It wasn’t long until he (along with sons Jimmy and Alex) saw the potential and decided to expand. They moved the whole operation to a bigger site, building up a thriving root vegetable business. 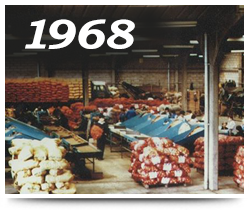 They sourced carrots for Scottish supermarkets from as far afield as Chatteris, Cambridgeshire, and supplied locally grown spuds too. Alex’s son, Alan, joined the business as a wee 17-year old working at the Airdrie factory in Scotland. Since we’d cracked the art of carrot-growing, we decided to turn our hand to parsnips. And they’ve grown into quite a great success. 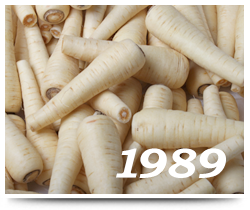 It’s hard to believe that we sowed our first parsnip seeds over 20 years ago. 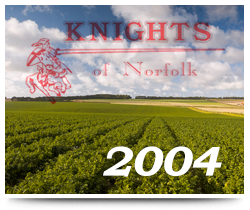 The Knights of Norfolk became part of Alan Bartlett and Sons. Although they sound like a medieval re-enactment society, they’re actually a fantastic carrot and parsnip supplier based in Norfolk. 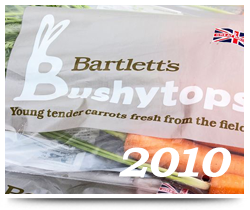 We launched our first own-brand carrot – the Bartlett’s Bushytops. It required a bit of invention and technical wizardry, but the end result, with all its beautiful green foliage intact, is completely worth it. Bartlett’s Bowlfuls launched – a range of delicious soups made with our own veg and using some of our favourite recipes. Recipes include Fresh Carrot Soup, Chunky Winter Vegetable and Potato and Ale. 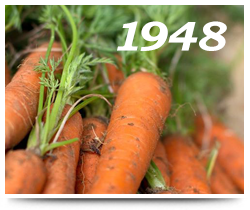 Not content with plucking carrots all the way from Cambridge, Albert Bartlett decided to grow them there himself and bought the Chatteris farm. 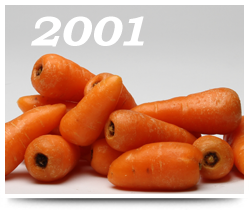 Back then it was far from the state-of-the-art carrot factory it is now – everything was done the old-fashioned way. Alan left Scotland to come down to the Chatteris factory for a brief troubleshooting visit. But he soon caught the farming bug and permanently moved south a few years later. 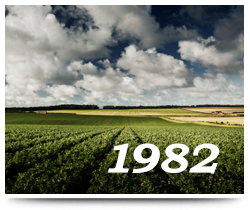 Under his careful stewardship the business has thrived in East Anglia, just as it first did in Scotland. Efficiency and a low environmental impact have always been high on the agenda. We added the delicious and delightfully small Chantenay carrot to our range of produce. Originally from France, this carrot variety has become a favourite with our customers because it tastes sweet and is easy to prepare. 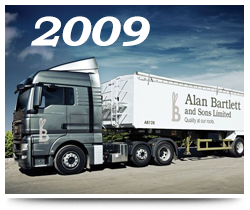 Several years later, and in a friendly demerger, Alan Bartlett and Sons was created. It gave Alan and his twin sons (Toby and Ollie) the chance to put their heart and soul into carrots, parsnips and onions. Meanwhile, north of the border, Alan’s brother Ronnie took control of the family’s Scottish potato crop where he continues to trade under the Albert Bartlett name. In the same year, Alan Bartlett and Sons was named Root Vegetable Supplier of the Year in the annual Tesco Produce Suppliers Awards as well as picking up the coveted Overall Fresh Produce Supplier of the Year. Happy days. It was time to add another name to the Alan Bartlett and Sons business. 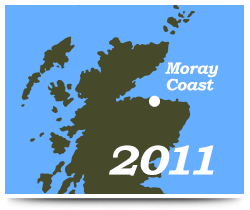 So we took on Moray Coast Produce ­– a carrot pack house with access to some of the best carrot -growing land in the UK. Today, Alan Bartlett and Sons is thriving like a bunch of Bushytops in the springtime. 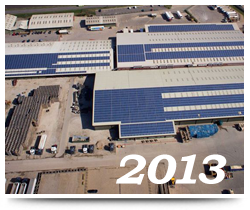 We’re constantly looking for new ways to improve – it’s why we’ve just installed one of the biggest privately owned roof mounted solar/PV systems in the UK (at 1.2MW it will produce 20-25% of our total annual consumption). We also still care a great deal about the quality and taste of all the veg we grow. And we grow a lot. 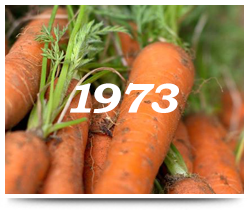 In fact, if you lined up every carrot we grow in a year, they would stretch around the world three times over.